"Brussels aid conference has told the Sri Lankan government to commence peace talks immediately with the Liberation Tigers of Tamil Eelam (LTTE) if the 4.5 billion dollars aid pledged in Tokyo is to be disbursed for development. This clearly shows that the international community has understood and accepted our freedom struggle," said the LTTE Trincomalee district political head Mr.S.Elilan addressing the inaugural meeting of Anna Fisheries Development Organization in Paththamkurichchy (Division No: 10), a suburb in the heart of Trincomalee, Wednesday morning. The President of the Association Mr.K.Mayavar presided. Mr.C. Thandauthapani, newly appointed Vavuniya North Zonal Director of Education, Mr.K. Balasubramaniam, Assistant Commissioner of Co-operative Development, Trincomalee, Village Level Officer (Grama Sevaka Officer) Mr.K.Suntharamahesan and Mr.Elilan were the special guests at the event. The inaugural event began with the lighting of traditional oil lamp by a leading lawyer Mr.M.K.Sellarajah and local leaders of the area. Thereafter Messrs Thandauthapani, K.Balasubramaniam and Mr.Elilan declared open the office of the Anna Meenavar Munnetra Kalzaham. "The LTTE submitted the Interim Self-Governing Authority (ISGA) proposal to the Government of Sri Lanka with a view to reconstruct the war torn northeast province and to rehabilitate the lives of hundreds of thousands of internally displaced Tamil families now living under immense hardships in refugee camps and welfare centres. "The ISGA is urgently needed to restore normalcy in the northeast as a permanent political solution to the Tamil national question could be delayed. But the government is dragging in this issue without firm commitment because of opposition in its ranks and allied parties in the government," said Mr.Elilan. 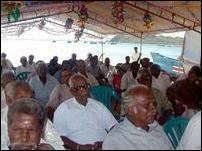 He appealed to the Tamil fishing community to develop their profession adopting modern techniques. 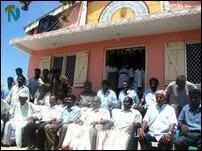 Mr.Mayavar in his address said the fisher families of Pathamkurichchy in Trincomalee town were displaced twice due to ethnic violence. They were displaced first in 1983 and again they fled to South India in 1990 violence and sought asylum there. 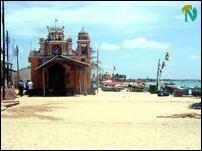 Now they have returned with great difficulties to Trincomalee. 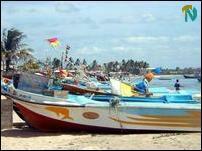 He said the newly formed society would provide all assistance to the development of resettled fisher families. Mr.Thandayuthapani, Mr.M.K.Sellarajah, Mr.S.Jeganathan, Mr.K. 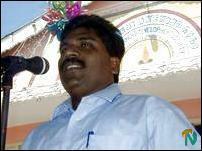 Balasubramaniam Mr.K.Suntharamahesan also spoke.